The Office chairs of DONG SUNG are ergonomically contoured chairs with a keen balance aesthetics and functionality. Founded in 1994 by Mr. Lee/Jun Ku as a professional office chair making engineer in Korea, we have always focused in manufacturing the comfortable and ergonomic office chairs with excellent quality. As a new concept of maintaining the pleasant office environment through the unified harmonization of Human body and office chair, our company has upgraded the technology standard of office chair with the adoption of Glide Tilting Mechanism and Sliding Mechanism. Furthermore, workers of our company are shareholders for the transparent management, having been investing more than 5% of sales volume for developing new technology and new models every year. With the management philosophy of "We do not cheat our clients." We have been trying to do our best for promoting the excellent durability of office chair, in addition of developing stylish appearance design and strict quality control with thorough service spirit for our clients. 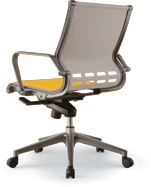 Dong Sung People chair is an environmentally conscious company, with an environmental management system based on ISO 14001 standards covering the whole lifecycle of our products. This includes the planning, manufacturing, sales, distribution, collection, disassembly and recycling of our products. To ensure environmental thinking is embedded as an everyday part of our activities, we also created what we call our Green Wave Activity program to promote environmentally responsible production. Nowadays, our office chairs are recognized as robust, durable, excellent design with high quality from Korean furniture market. At the basis of accumulated technological manufacturing skills and outstanding technical workforce, we continue to do our best to be a world-famous office chair maker. 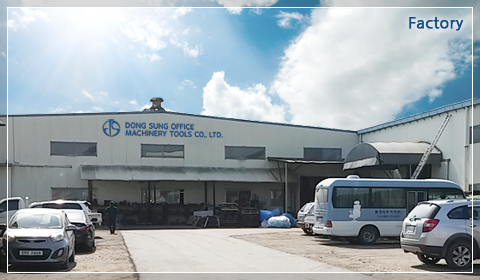 Dong Sung Office Machinery tools Co., Ltd.
Home & Office Chair, Executive Chair, Swivel Chair, Task Chair, Computer Chair, Conference Chair, Lobby Chair, Medical Chair, Partition, Desk, Table, Cabinet, Sofa, etc.